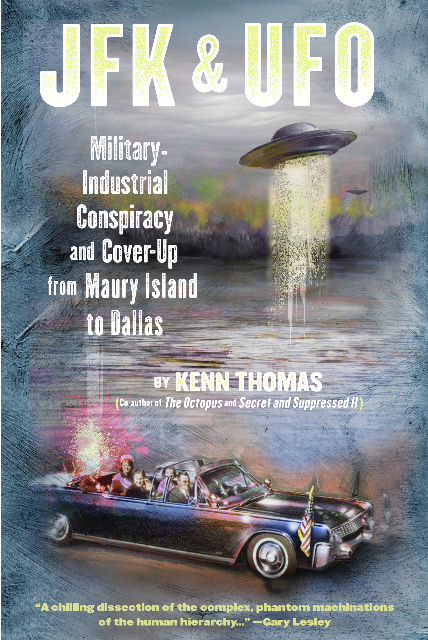 Join Kenn as he examines the connections between the JFK Assassination and the Maury Island incident, first of the post-WWII UFO sightings. In addition to reviewing the facts of each case, including an up close examination of the Zapruder film, Kenn looks at signposts in the media of the time, often seen as coincidence but actually shown to be evidence of conspiracy. If JFK’s assignation was telegraphed ahead of time by the mass media then, what does that say about the mass media of today? Learn how the grassy knoll shooter and one of the first UFO witnesses are the same man. Learn the process by which covert actions are presaged in popular culture.